POLFLAM’s mission statement is to provide products that ensure safety. • we maintain highest level of production technology while launching subsequent new solutions. Safety is not a luxury; it needs to be a prime concern. Our priority is to offer state-of-the-art products that improve the safety of a building and satisfy or even exceed any required standards; products that are available at a reasonable price affordable to any investor. „Available safety” – that is how we understand innovativeness and this philosophy governs our production activity. 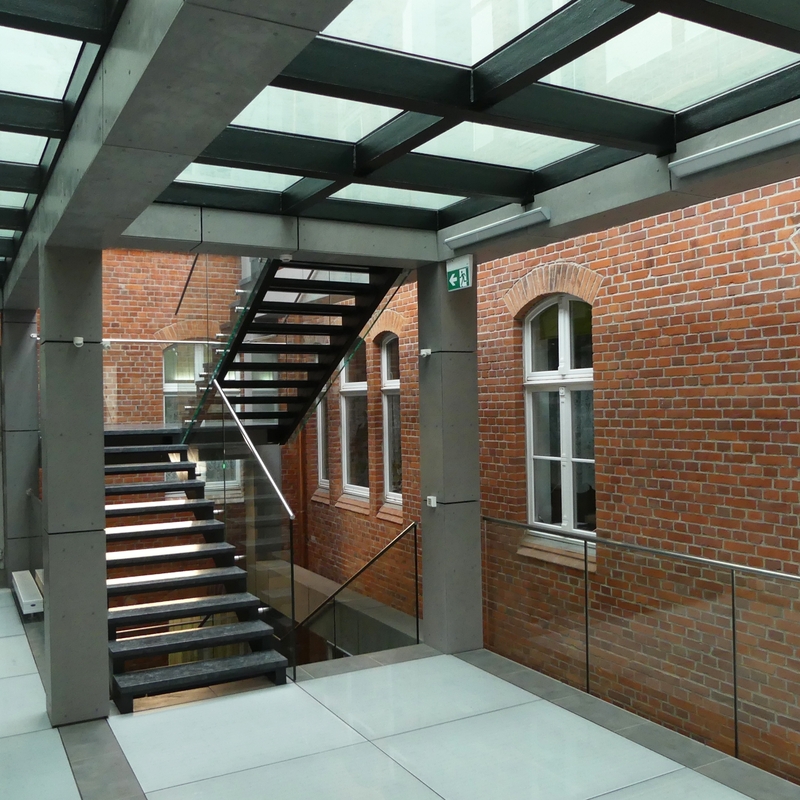 Our glass has been used in a number of publicly- financed buildings, including schools, hospitals, sports halls and university buildings. The facilities get more light and space and, most of all, ensure safety to all those inside the building. We don’t just deliver our goods, send an invoice and say goodbye. We consider it equally important to provide consulting, to educate in the area of fire safety and constantly improve safety standards.